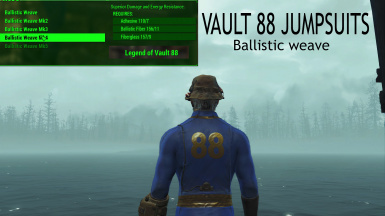 This mod adds the Ballistic weave option to all the vault 88 jumpsuits. 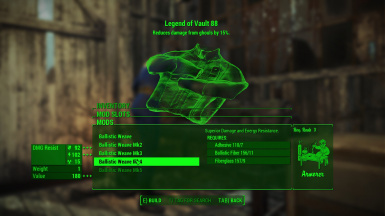 This mod adds the Ballistic weave option to all the Vault 88 Jumpsuits added by Vault-Workshop DLC. 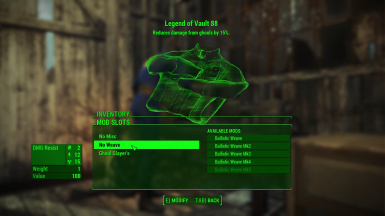 Incompatibilities: This should work with all mods except mods that alter clothing from the vault tec workshop DLC. Installation: Use NMM or just download and install manually.